Just 9 weeks ago, we embarked on a journey together, and we can’t believe how fast the summer went by. This was one of our busiest summers yet, and we’re so sad to see it go and to end another great season of programming at Camp Fletcher. As we reflect on summer 2015, we are so thankful to have spent time with so many talented campers who attended our resident and day camp programs. We welcomed many new campers into our family this summer, and we hope you’ll all be back again next year. We know our campers had fun this summer, and that’s definitely one of our main goals. But, we also want to be sure our campers are growing and learning – building character and self-confidence. Our campers are truly amazing kids, and it was an honor to watch them make transformations this summer. From team building on the ropes course to achieving goals with archery and canoeing, we know our campers made memories that will last a lifetime and were taught lessons that they will carry with them long into the future. This is the real magic of Camp Fletcher, and it’s why so many of our campers come back year after year. We know that camp isn’t just a way to spend your summer – it’s a home away from home. Our campers and staff become a family, and we want each of you to know that you are always welcome at Camp Fletcher and will always be greeted with a smile and a friendly face. Our counselors work hard to invest in each camper, and that investment definitely pays off when we see our campers learning and growing all summer long. Everyone at camp learns that things aren’t really about them, and that work, health and love can get you pretty far. As we wrap up another amazing summer of programming, we’re left with such a sense of accomplishment for the lives that have been shaped this summer. It’s bittersweet, though; we’re ready for next summer before our campers hop on the bus that first day of school or our counselors are back settled in their dorms. We’re thankful for this summer, and for each member of our camp family – from campers to summer staff to our awesome camp parents. 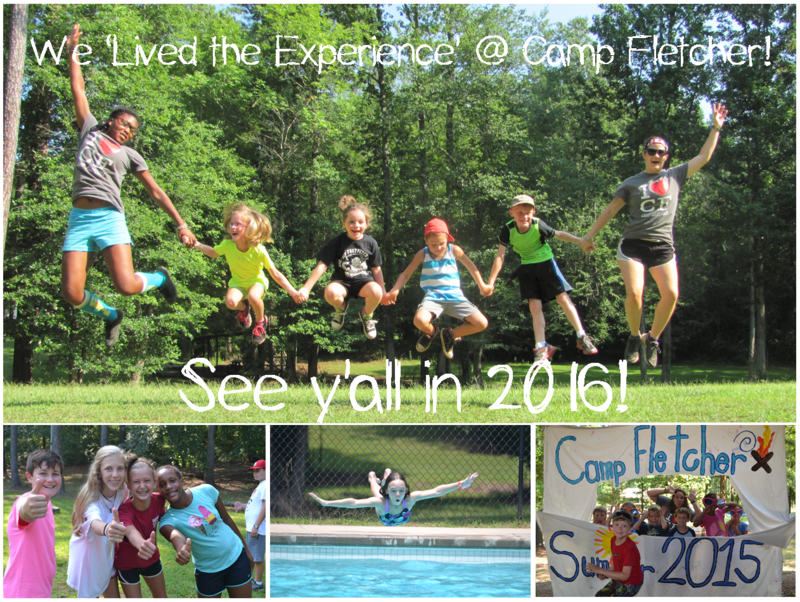 We hope everyone has a great school year ahead of them, and we can’t wait to see you back at Camp Fletcher next June. Next Article Parent Testimonial – Jennifer M.